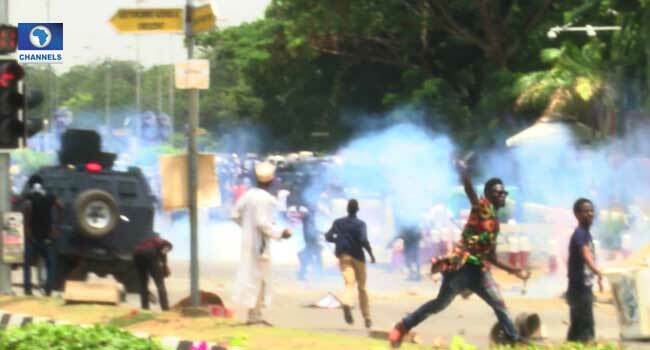 Security forces and members of the Shiite movement on Monday clashed in Abuja, the Federal Capital Territory (FCT). 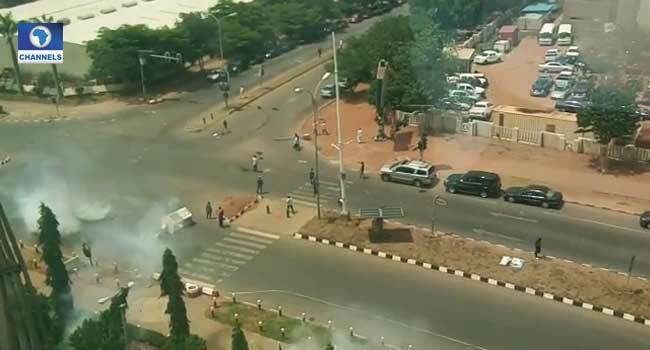 This was after the protesters stormed the Institute For Peace and Conflict Resolution Abuja, in Abogo Largema a Central business district area in Abuja. Members of the Shiite movement are demanding the release of their leader, Ibrahim El-Zakzaky and lamenting over his continued detention without trial for over two years. The protest is reported to have started from the Unity Fountain, beside Transcorp hotel. 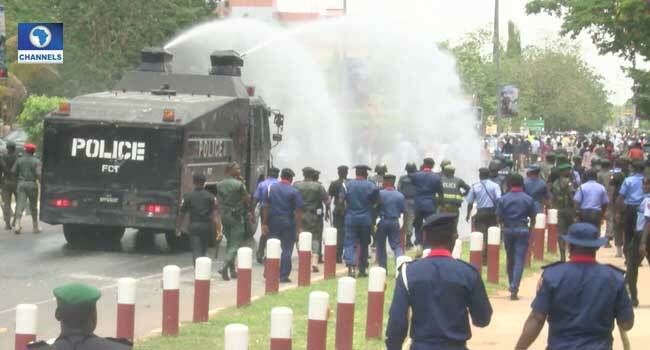 The Police officers in order to disperse the protesters fired teargas, forcefully dispersing them. This eventually led to resistance, forcing the protesters to throw stones at the police patrol vehicle.